Below is a sample e-mail to a prospective donor that you should be able to copy — complete with the graphic — and paste right into a new e-mail message. Feel free to modify it, personalize it, etc. But please only send it to the prospective donors you’ve told us you’d be contacting! We want to run an orderly, respectful fundraising campaign so people will be happy to hear from us again next year. 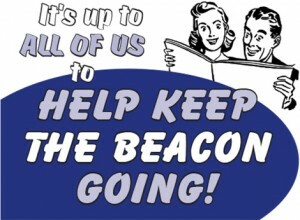 I’m writing today to ask if you could do your part this year to help keep the Beacon going. 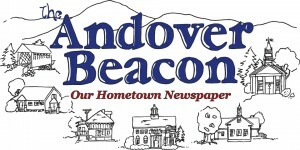 The Beacon contributes a lot to the quality of life we enjoy in Andover, both through the monthly newspaper it mails free to every Andover address, and through AndoverBeacon.com, our community’s up-to-date news Web site. So far this year, only about 200 Andover households have sent their tax-deductible donation to the Beacon, and it simply can’t continue if that’s all the support it can count on from the community. I’m trying to help get that number much higher this fall – can you do your part and donate today? Details about donating by check, or online through Paypal, plus a handy receipt for your donation are here. If you have further questions, this FAQ should help. Please let me know your decision, or if you have any questions. Your support will mean a lot to the whole community!